Goldman Sachs (GS) operates as an investment banking, securities, and investment management company worldwide. Most shareholders do not vote because reading through 100+ pages of the proxy is not worth the time for the small difference your vote will make. Below, I tell you how voted and why. If you have read these posts related to my portfolio for the last 22 years and trust my judgment (or you don’t want to take the time to read it), go immediately to see how I voted my ballot. Voting will take you only a minute or two and every vote counts. The annual meeting is coming up on May 2, 2018. I voted with the Board’s recommendations 37% of the time. View Proxy Statement via SEC’s EDGAR system (look for DEF 14A). Read Warnings below. What follows are my recommendations on how to vote the proxy in order to enhance corporate governance and long-term value. From the Yahoo Finance profile: The Goldman Sachs Group, Inc.’s ISS Governance QualityScore as of April 1, 2018 is 5. The pillar scores are Audit: 2; Board: 4; Shareholder Rights: 4; Compensation: 9. Corporate governance scores courtesy of Institutional Shareholder Services (ISS). Scores indicate decile rank relative to index or region. A decile score of 1 indicates lower governance risk, while a 10 indicates higher governance risk. Therefore, we need to pay close attention to executive compensation. Egan-Jones Proxy Services recommends “For,” with the exception of: 1B) M. Michele Burns, 1D) William W. George, 1E) James A. Johnson, 1F) Ellen J. Kullman, 1G) Lakshmi N. Mittal, and 1H) Adebayo O. Ogunlesi. They provide various reasons. However, all served on compensation committee and their 2018 Amended and Restated Stock Incentive Plan fails E-G’s dilution model. I also voted AGAINST the same directors, while voting FOR the others. Goldman Sachs Summary Compensation Table shows the highest paid named executive officer (NEO) was Lloyd C. Blankfein, Chairman and CEO, at $22M. I’m using Yahoo! Finance to determine market cap ($96B) and I am roughly defining large-cap as $10B, mid-cap as $2-10B, and small-cap as less than $2B. Goldman Sachs is a large-cap company. According to the Equilar Top 25 Executive Compensation Survey 2015, the median CEO compensation at large-cap corporations was $10.3M in 2014, so pay was well over that amount. Goldman Sachs shares very modestly outperformed the S&P500 over the most recent one, two, and five year time periods. Goldman Sachs appears on As You Sow‘s list of the 100 Most Overpaid CEOs. Prior reports have shown that being on that list is correlated with lower returns in subsequent years. The CEO’s compensation for 2017, as disclosed in the Summary Compensation Table, is $21,995,266, and the ratio between this amount and the Median Compensation Amount is about 163:1. The Company’s compensation policies and procedures are centered on a competitive pay-for-performance culture, strongly aligned with the long-term interest of its shareholders and necessary to attract and retain experienced, highly qualified executives critical to the Company’s long-term success and the enhancement of shareholder value. Therefore, we recommend a vote FOR this Proposal. Given above median pay, and my concern with growing inequality, and despite the recommendation of Egan Jones, I voted “AGAINST” the say-on-pay item, as well as compensation committee members for recommending it. After taking into account the maximum amount of shareholder equity dilution this proposal could cause, as well as both the quantitative and qualitative measures outlined below, we believe that shareholders should not support the passage of this plan as proposed by the board of directors. We recommend the board seek to align CEO pay more closely with the performance of the company and work to reduce the cost of any similar plan that may be proposed in the future. Therefore, we recommend a vote AGAINST this Proposal. I have no reason to believe the auditor has rendered an inaccurate opinion, is engaged in poor accounting practices, or has a conflict of interest. However, Egan-Jones notes that PricewaterhouseCoopers, LLP has been serving as the Company’s auditor for over seven years and their independence is compromised. They also several other issues. I also believe that the companies should consider the rotation of their audit firm to ensure auditor objectivity, professionalism and independence. I have not set a specific number of years. In this case, I voted FOR. We are concerned that Goldman’s lack of lobbying disclosure presents significant reputational risks. According to the 2017 Harris Corporate Reputation Survey, Goldman ranked in the bottom ten of the 100 most visible companies, ranking 98th. 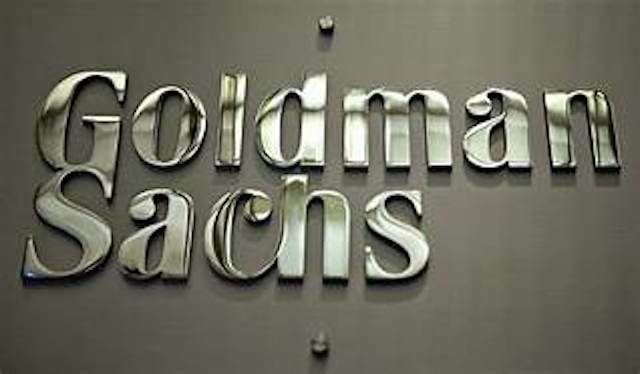 Absent a system of accountability, company assets could be used for objectives contrary to Goldman’s long-term interests. I have submitted similar proposals at other companies. Vote FOR. This is my proposal, so of course I voted FOR. 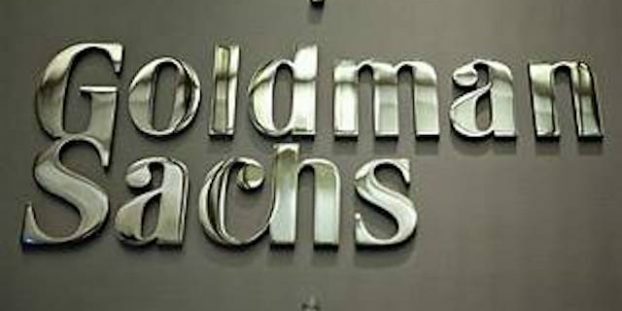 Goldman Sachs adopted a ‘lite’ version of proxy access. This proposal seeks a more robust version based on the SEC’s vacated Rule 14a-11 and CII’s Best Practices. It is telling that proxy access has yet to be used at any company. One primary reason is that shareholders like Vanguard, BlacRock and State Street, which could use proxy access in combination, have never even filed a proxy proposal. Smaller, more active, funds like CalSTRS ($232B in assets and 0.17% of Goldman Sachs) would not be able to find funds with enough shares to form a viable nominating group with a twenty member limit. Vote FOR. Egan-Jones also recommended FOR. 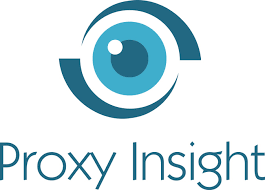 Proxy Insight reported the votes of four funds. Teacher Retirement System of Texas, Canada Pension Plan Investment Board (CPPIB), Calvert, and Australia’s Local Government Superannuation Scheme. Most funds voted FOR most items. Texas, CPPIB, and Calvert voted AGAINST the omnibus stock plan. Texas and CPPIB also voted AGAINST the report on lobbying; Texas voted AGAINST pay. I voted AGAINST 1B) M. Michele Burns, 1D) William W. George, 1E) James A. Johnson, 1F) Ellen J. Kullman, 1G) Lakshmi N. Mittal, and 1H) Adebayo O. Ogunlesi, as well as say-on-pay and the stock plan. I voted FOR all other items, including the shareholder proposal on lobbying, and my proposal to amend proxy access. No action can be taken without a meeting by written consent. Special meetings can only be called by shareholders holding not less than 25% of the voting power. Proxy access provisions are Lite. A shareholder or group of no more than 20 shareholders holding at least 3% of the outstanding common stock continuously for at least three (3) years may nominate directors, so long as the number of directors elected via proxy access does not exceed 20% of the board. Nominees who receive less than 25% of the votes would be ineligible for nomination under the proxy access provision for the next two (2) annual meetings. Shareholders who, in accordance with the SEC’s Rule 14a-8, wish to present proposals for inclusion in the proxy materials to be distributed by us in connection with our 2019 Annual Meeting of Shareholders must submit their proposals to John F.W. Rogers, Secretary to the Board of Directors, via email at[email protected] or by mail at The Goldman Sachs Group, Inc., 200 West Street, New York, New York 10282. Proposals must be received on or before Friday, November 23, 2018. As the rules of the SEC make clear, however, simply submitting a proposal does not guarantee its inclusion. Be sure to vote each item on the proxy. Any items left blank are voted in favor of management’s recommendations. (See Broken Windows & Proxy Vote Rigging – Both Invite More Serious Crime). I generally vote against pay packages where NEOs were paid above median in the previous year but make exceptions if warranted. According to Bebchuk, Lucian A. and Grinstein, Yaniv (The Growth of Executive Pay), aggregate compensation by public companies to NEOs increased from 5 percent of earnings in 1993-1995 to about 10 percent in 2001-2003. Few firms admit to having average executives. They generally set compensation at above average for their “peer group,” which is often chosen aspirationally. While the “Lake Woebegone effect” may be nice in fictional towns, “where all the children are above average,” it doesn’t work well for society to have all CEOs considered above average, with their collective pay spiraling out of control. We need to slow the pace of money going to the 1% if our economy is not to become third world. The rationale for peer group benchmarking is a mythological market for CEOs. For more on the subject, see CEO Pay Machine Destroying America.